So, the closing did not happen yesterday. The buyers loan processing is still under way. We left Meaher State Park this morning for our service appointment in Gulfport. They drove it back and got right on it. We were out of there in an hour. We had planned to stay at Gulf Islands National Park in Ocean Springs, Ms but the campground is small, cramped and very full. We drove right back out. We stopped for fuel and a fellow fueler recommended Shepard State Park in Gautier (go-shay) for you yanks. 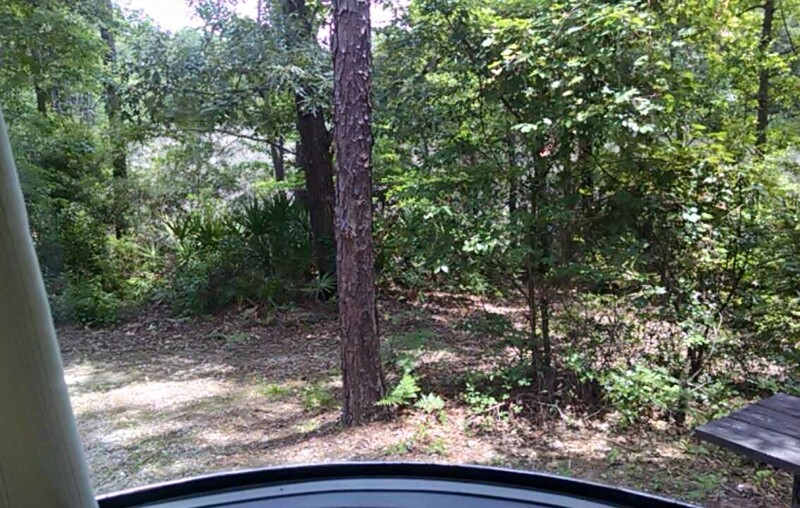 We have a real nice, shady, private spot backed up to a gator filled bayou (by-you). We will hide out here until Saturday at least. Here's the view of the backyard.